These prefabricated homes in the Sunshine State are built to withstand harsh conditions. Florida might be known as the Sunshine State, but that doesn’t mean that building homes is a breeze. In fact, because of the volatile climate—which includes a mixture of unrelenting sun, hot and humid weather, and the threat of hurricanes and winds over 150 miles per hour—it can be a real challenge to build in Florida. However, modular and prefabricated homes are becoming more and more popular because of their high-quality, factory-based construction. Here, we take a look at both models and completed residences in Florida that take advantage of the benefits of prefabrication and modular construction, while meeting the necessary standards to withstand the state's environmental conditions. The Tulip model by Steelhomes is a manufactured one-bedroom, two-bath residence with just over 1,000 square feet of living space. Based in Miami, Steelhomes maintains a steel frame factory in Opa Locka and works throughout South Florida. 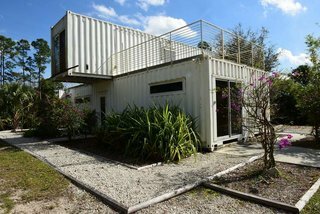 Functioning as a vacation rental for tourists, entrepreneur Rick Clegg combined old shipping containers to create a four-bedroom home with an eco twist near Palm Beach, Florida. Because of the container's inherent durability, they meet Florida's stringent construction standards. 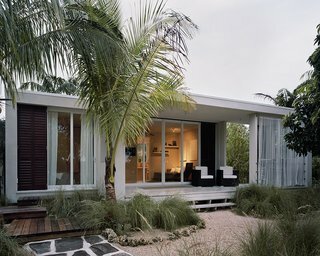 The compactness of the home; its low carbon footprint because of the use of the recycled, prefabricated containers; and the home's proximity to the Loxahatchee River make it ideal for ecotourists. Cubicco, a pre-engineered housing company based in Miami and the Netherlands, creates homes that are designed to meet winds of up to 180 miles per hour, per the hurricane zone code of Miami Dade County. The starting price for a fully built, 685-square-foot, two-bedroom Cubicco model in the Miami area is just over $115,000. 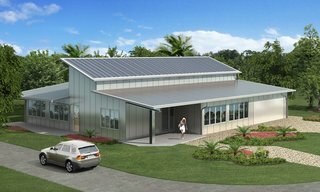 Featuring a steel frame and prefabricated exterior panels by EcoSteel, this home designed by a professor of architecture in Miami consumes just one-seventh of the energy needed to fabricate and erect a conventional concrete block home in the area. 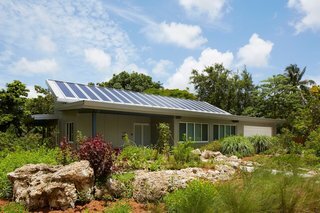 Issues of durability and sustainability were considered, given Miami's harsh climate, and solar panels and a green roof were also incorporated. 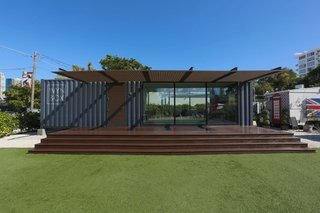 Based in Wynwood, Florida, Wyn-Box constructed their model container home out of two used cargo containers. The 640-square-foot, one-bedroom showroom was designed by architects Ruslanas Byckovas and Ethan Royal with Ryan Anderson, a business developer, and boasts a stainless-steel kitchen, porcelain gray tile, and a modern, clean gray exterior. 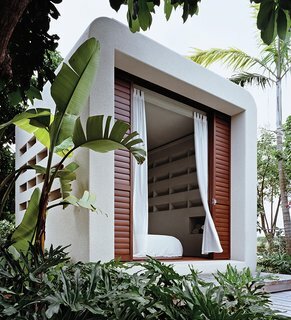 Cubicco’s Cabana Beach model is built with laminated veneer lumber, an engineered material that uses up to 90 percent of a tree—compared to typical wood timbers that use only 60 to 70 percent. 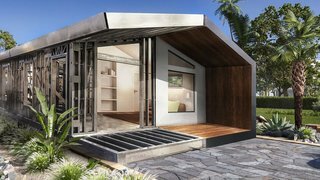 Modules can be disassembled if the owners relocate, but the Cabana Beach model functions more as a guest house or office than a full-fledged home.